250. 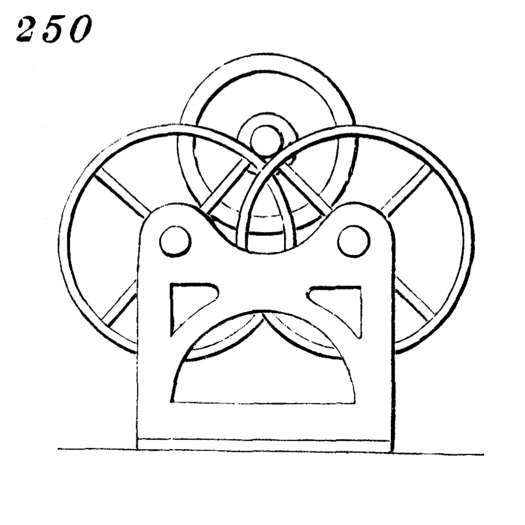 Anti-friction bearing. Instead of a shaft revolving in an ordinary bearing it is sometimes supported on the circumference of wheels. The friction is thus reduced to the least amount.